Gunfire: Ιταλικό συγκρότημα. Έκανε την προσπάθειά του πίσω στα 80ies (ένα demo κι ένα ep το 1984), αλλά ολοκληρωμένο δίσκο κατάφεραν να βγάλουν τον... 21ο αιώνα: Το "Thunder of War" το 2004. Δέκα χρόνια μετά επέστρεψε δισκογραφικά με το δεύτερο full length album τους, το οποίο τιτλοφορείται "Age of Supremacy". 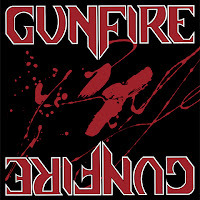 Δελτίο τύπου: «The Italian band Gunfire was originally an active unit in the 80s in Ancona. At that time the singer Roberto Borrelli (Robert Drake) met Maurizio Leone (Maury Lyon) and with him he founded the band "Metal Road". In 1984 they met Fabio Allegretto (Lord Blackcat), a great guitarist, and after a few rehearsals Gunfire (the name was chosen by ​​Maurizio) were founded. Maurizio left the guitar and moved to play bass while composing the first Gunfire song called "Thunder of War". Soon Roberto Fanelli (Rob Gothar) joined at the drums. After two months they recorded the first demo in just two days in a very small studio using a 4-tracks Fostex but the band was quite satisfied considering the obvious limitations and because it was not ment to be for sale (the demo was without any artwork, just a simple tape) but simply to be copied in just 50 pieces and to be given free to friends and magazines. But quickly it was requested from all over the world thanks to an intense activity of tape-traders. In the same year they had the opportunity to play live for an important Italian festival near Mantova (Gazoldo degli Ippoliti) and for the first time they played in front of a large crowd and in a big stage with important Italian groups of the time, as Strana Officina, Sabotage, Steel Crown, Vanadium, Vanexa, Crying Steel, Elektradrive, Dark Lord and it was an amazing experience. Soon they came in contact with the boys of Discotto from Florence (known as the first label of Litfiba) who asked Gunfire to take care of the distribution of the new upcoming album. So they entered the studio: it took a whole week for the recording sessions and it costed the crazy total of four millions of liras of the time, so due of economic reasons they were forced to choose and record only 4 tracks. 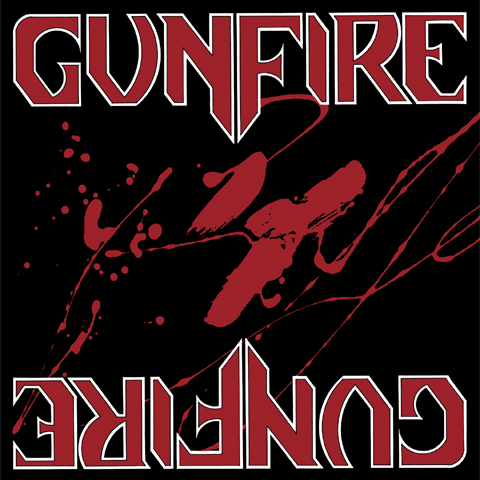 The Ep "Gunfire" has been produced in about 2.000 copies and it's a genuine and superb heavy / speed metal. The reaction of the press and HM maniacs was very good and this Ep vinyl is now a collector's value item. Unfortunately the situation of the Italian metal scene in the 80s was really hard and the lack of support and promotion from the labels made things even more difficult, so they did not have the chance to be support acts for "big" bands that played in Italy, even if they became friends with Saxon and played in many places around Italy (Bari, Torino, Bologna ...).